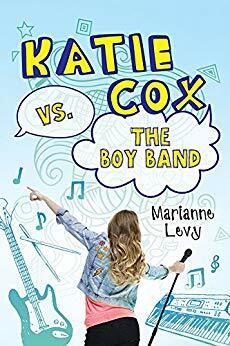 Marianne Levy is the author of Katie Cox vs. the Boy Band, a new novel for kids. 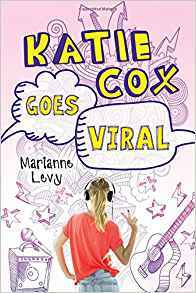 It's a sequel to Katie Cox Goes Viral. 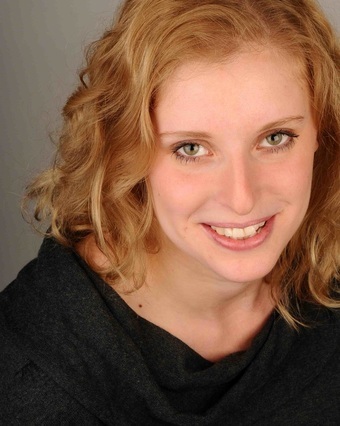 She has worked as an actress, and has written for The Independent and The Guardian. She lives in London. Q: At what point did you know you'd be writing this sequel to your first Katie Cox book? A: I always knew there'd be a second book for Katie, although I have to say, I wasn't entirely sure of exactly how the plot would go until I embarked upon it. That's the magic of writing books, and what keeps me at it, that sense of discovery. I love it when my characters surprise me. Q: What was it like to write about Katie again, and do you think she's changed at all since book one? A: The second book picks up just a month after the end of the first, because I wanted to keep exploring Katie's sense of discombobulation. She's famous, but she doesn't feel famous, her life is changing, in that she's got a recording contract and a fan base, but day to day, many things, like her messy bedroom and her school routine, are exactly the same. Q: Are there any differences between the UK and US versions of your books? A: The covers are different, and the titles. In the UK the book is called Face The Music. And a few of my British terms have been changed for US readers. I love how, on the back cover of the US version, Katie is described as being the owner of the World's Worst Bangs. It feels so exotic. Here in the UK, we call bangs a fringe. A: The answer to that question changes every day. I've just finished reading the latest collection by David Sedaris, which is utterly sublime. And I'm a big fan of Ann Patchett; her novels are absolute perfection and I want to press them into the hands of everyone I meet. Now that I come to think of it, what both those writers share is a sense of effortlessness. Their books are so incredibly well-crafted, but they seem to flow from a well of pure inspiration. When it comes to children's writers, my favourites right now are Lemony Snickett, Katherine Rundell and Andy Stanton. A: Something absolutely and completely different from anything I've ever written before! A: The collective noun for a group of hippos is a bloat. Isn't that wonderful? --Interview with Deborah Kalb. Here's a previous Q&A with Marianne Levy.